A Modern Approach to Classical Guitar is designed for anyone just learning to play guitar. 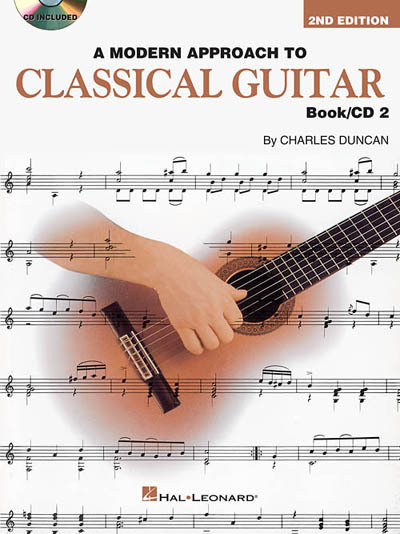 Written by one of the premier classical guitarists of our time and based on years of teaching students of all ages, this revised edition of Book 2 includes many new pieces and an in-depth study of two- and three-part music. Book 2 covers: free stroke; barre technique; triplets, sixteenths and dotted notes; accompaniment styles; syncopation; 6/8 time, position playing; left-hand technique; ornamentation; classical solos and etudes; fingernail care; and more. The CD includes 53 tracks for demonstration and play-along.